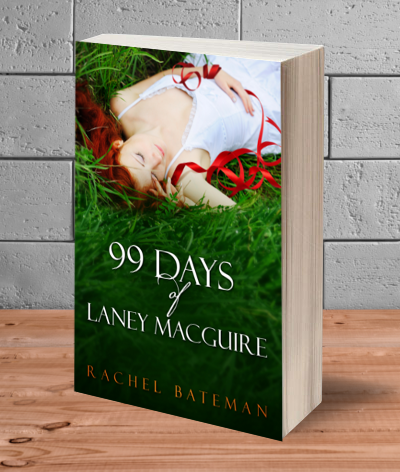 This is a book cover I designed for 99 Days of Laney MacGuire by Rachel Bateman. 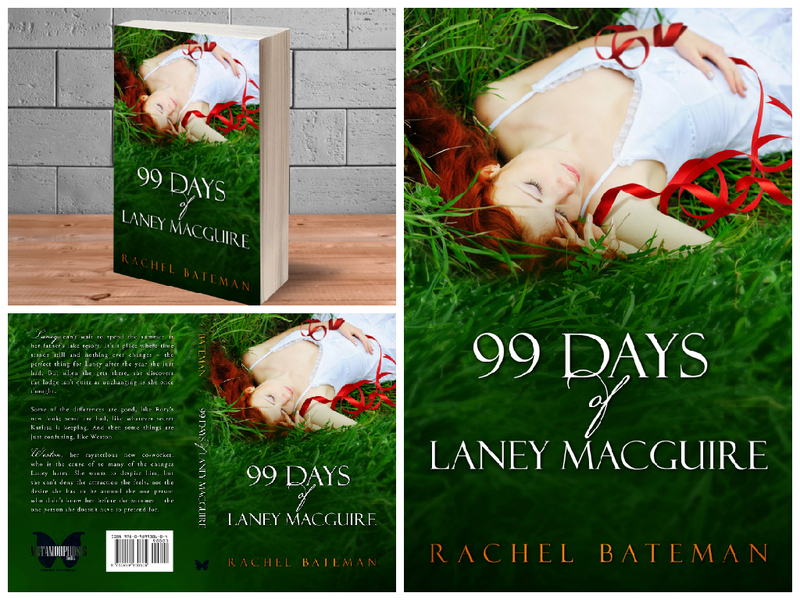 It’s a contemporary Young Adult novel about a girl who makes a deal with her mom and her therapist to keep a journal for 99 days in order to spend the summer at her dad’s resort. 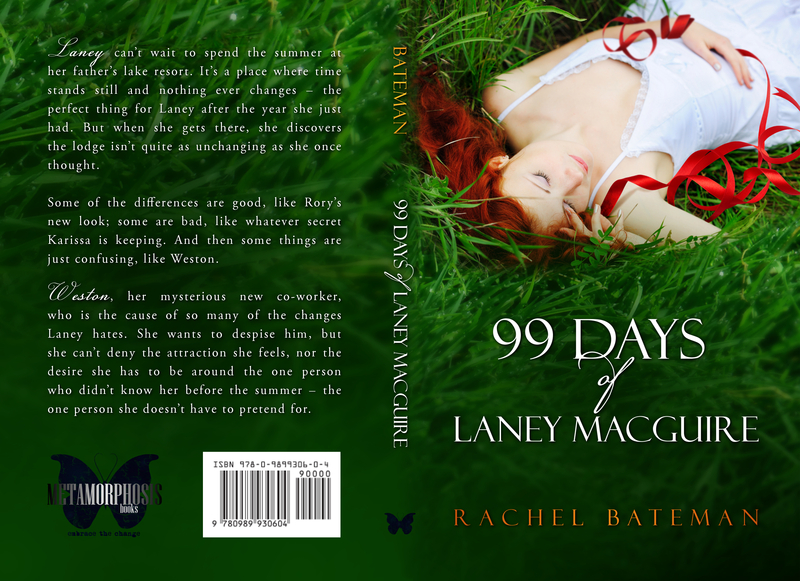 It was important to Rachel to show her main character on her cover, but she didn’t want the character’s face to be visible. She also wanted the cover model to have red hair and her wrists to be covered with red ribbons.